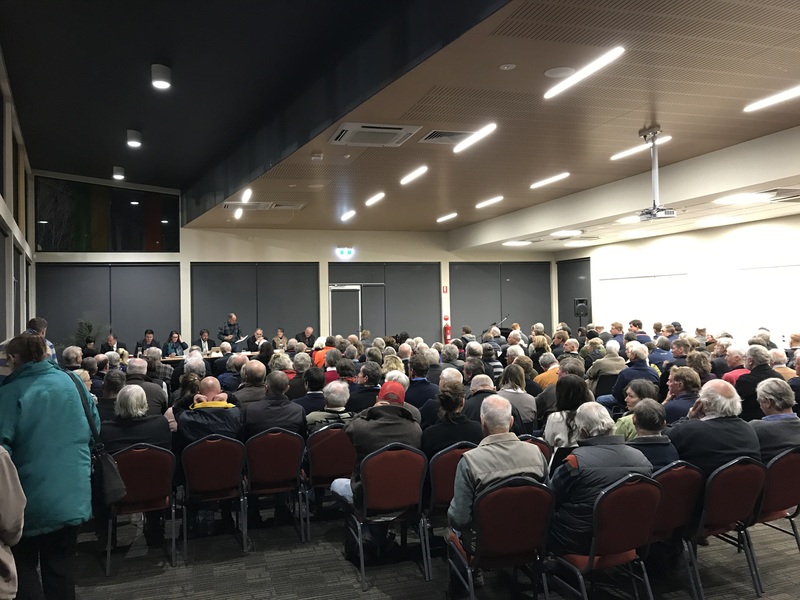 Around 270 people attended a Special Council Meeting held at Alexandra Oval Community Centre on Tuesday night to discuss the proposed Draft Rating Strategy 2017. Special Council Meeting at Alexandra Oval Community Centre. The Special Council Meeting was the final part of a lengthy community consultation process dating back to April, before the Rating Strategy is considered by Council on June 27 along with the Council Plan 2017-2021 and Budget 2017/18. Following the 28-day public display period, Council received a total of 698 submissions by email, post and via the “Have Your Say” page on Council’s website, with 96 people requesting to be heard in support of their submissions. Ararat Rural City Council Mayor, Cr Paul Hooper thanked all ratepayers who took the time to make a submission. “On behalf of my fellow Councillors I wish to thank everyone who has made a submission regarding the proposed Draft Council Plan, Rating Strategy and Budget, including those who attended Tuesday’s Special Council Meeting to make an address,” Cr Hooper said. Council will consider adoption of the proposed Council Plan, Budget, and the proposed Rating Strategy, during its Ordinary Council Meeting to be held Tuesday, June 27 at the Alexandra Oval Community Centre (from 6pm).